Stopped at the 12 Apostles on the way back to town, after a beach day at Llandudno Beach. It was exactly what I have come to expect from 5-star hotels in Cape Town - exquisite natural beauty surrounded by excellent service and decor that gives off a colonial feel. My Mojito was fantastic and enjoyed on the balcony overlooking a sun setting behind the Atlantic Ocean. It was properly picturesque, especially with the clouds that reflected the settings sun's orange glow. Would definitely recommend stopping by for a drink! This hotel is absolutely stunning. It is the only structure along a long coastal road and is wedged between the ocean and Table Mountain. As far as natural beauty goes, you really cannot ask for more. Otherwise, it is everything one would expect from a South African 5-star hotel, in a good way. The typical colonial atmosphere, great service, etc. Nothing too special, but also nothing to complain about. 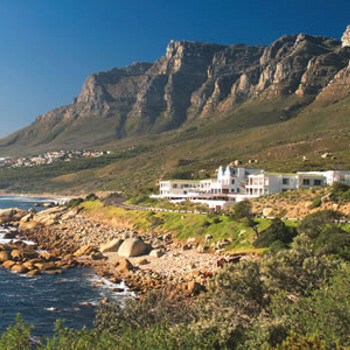 The fact that the 12 apostles hotel and spa was all inclusive made a big difference as to whether it was a good holiday or not because the prices you had to pay outside the hotel were scandalous. The hotel was very clean and had cleaners in and out your room every day. The food was fantastic and was very filling which means that you were never hungry during the time that there was no food for you to eat. The location of the hotel was near a mountain so the views in the hotel were fabulous. The hotel staff were very friendly and helpful towards us and were even sometimes very funny. The entertainment not just at night but in the day aswell was fantastic. I was dissapointed because I did not have time to enjoy the spa but I would still like to visit this hotel again.